Imagine this: it’s a great day, you’re busy working on your computer at some event, and everything seems fine. After a while you get tired and decide to get something to eat and shut down your laptop. Although it’s not supposed to happen, someone steals it while you’re gone. At this point you freak out because your life information is on that machine, including banking data, emails, and anything else that could be considered sensitive data. Now your wonderful day has turned into a nightmare. 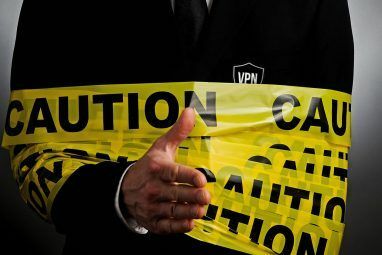 Of course you can do things to minimize the damage that results from a stolen laptop, or you can be proactive and encrypt your information for exactly these kinds of situations. If you were smart enough, you could’ve encrypted your home folder (which basically contains all of your personal data, as literally every other main system folder contains system data, not personal data) when you first installed Ubuntu onto your system. But I guess you simply chose not to (or in my case, I somehow had some issues with it). However, it’s never too late to do it now before something happens to it. Encrypting your home folder is actually a lot easier than it may sound. It only requires a few steps and a little amount of your time. 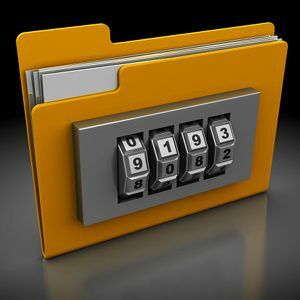 Before we begin, make sure that you have a backup available of your entire home folder at another location, just in case the encryption process goes haywire for whatever reason. which will install the necessary files needed to carry out the encryption process. In order to avoid any problems with encrypting a user’s home folder while you’re still logged into that user, it’s best to create a new user with administrative rights temporarily, or if you already have a second user account with administrative rights, you can use that instead. You can then log into that new account. where “username” is the username of the user’s home folder that you want to encrypt. to add one yourself. Once that completes, you can delete the temporary account you created, and reboot your system. Your home folder should now be encrypted and safe from anyone who doesn’t know your password! If you really want to test it out, you can always grab a Live CD and see if you can surf around inside the home folder. Usually you can’t because of file permissions, but it’s always still possible to change the permissions with a Live CD as long as it’s not encrypted. If it’s not possible to do even that, then I’d say that the successful encryption has been confirmed. Encryption is actually much more important than a lot of people believe. It’s great that such tools exist for Linux, as well as other operating systems with tools such as TrueCrypt How To Make Encrypted Folders Others Can't View with Truecrypt 7 How To Make Encrypted Folders Others Can't View with Truecrypt 7 Read More . Hopefully they can be adopted by more people as they don’t bring any noticeable performance issues. What do you think of encryption? Is it necessary or not? How do you do it? Let us know in the comments! Explore more about: Encryption, Ubuntu. "This program must be executed by root. I use Kali Linux, where "root" is actually used as the default account - I know that's not how Linux usually works (you create another account and use sudo to become root) but that's how Kali works. Now, I want to encrypt ROOT's HOME directory, e.g. /root. Impossible, because of that stupid rule. and use that as your main account. Yes, I know some software won't work unless you login as root but this is good security practice anyway; do you really want every program you run freely accessing your entire computer? There seems to be a lot less information on how to unencrypt your home folder. This may be a complicated way, but I'm pretty sure you'd succeed if you created a new folder/partition, moved over all of your home data to it, and then reconfigure Ubuntu to use the new location as your home folder. Of course that's a generalized idea, as writing out the entire process would be too large for a comment, but I'd expect that to work. The main issue would be to reconfigure Ubuntu to recognize the new home folder. That should revert the encryption but it hasn't been tested. Nice tutorial but can't get it to work. "This program must be executed by root." I even logged in as ROOT and got the same error. What now? Any suggestion appreciated. I am running Xubuntu 12.04. Hey Bill, I had the same error. The character used on the website to display the "-" in front of the "-u" option is no real "-" but a similar char. So copy the command, remove all "-" and type them manually and it will work. Thank you Tillorgias. It works. Thanks for the great tip, Till! It seems that you're trying to encrypt r9s's home folder while still being logged in as r9s. Like the article shows (so look at it if you need guidance), you'll need to set up a new user if you only have one, give that user admin rights (to be able to use sudo), log into that user, and then run the same command to encrypt r9s's home folder. Great article Danny! If you use whole disk encryption, you wouldn't need to do this, correct? I guess you could still have a multi-user situation where you might want to protect users home directories from other users. Thanks! As Lazza says, that would be correct. However, I haven't figured out how to do whole-disk encryption with Ubuntu yet (only Fedora). There are no options of encrypting the whole disk with Ubuntu's regular installer. That's awesome! Wish I checked out that site, unfortunatelly my internet is down, please send it to me by Fedex on my email adress.